The train journey from Ninh Binh to Hue takes 11 to 12 hours cover a distance of 571 km. There are five SE Class trains on this route, two of which complete the journey during the day, and three which travel overnight. If you prefer to travel during the day and sleep in hotel at night then we recommend taking Train #SE7 which arrives in Hue in the evening. The fastest train service from Ninh Binh to Hue is Train #SE3 which departs from Ha Noi at 21:47 and is scheduled to arrive in Hue 10 hours 50 minutes later at 08:37. The slowest of the train services is Train #SE9 departing at 17:16 and arriving in Hue at 04:55, a journey time of 11 hours 39 minutes. 1st Class sleeper berths are available on Trains #SE7, #SE5, #SE9, #SE3 and #SE19. 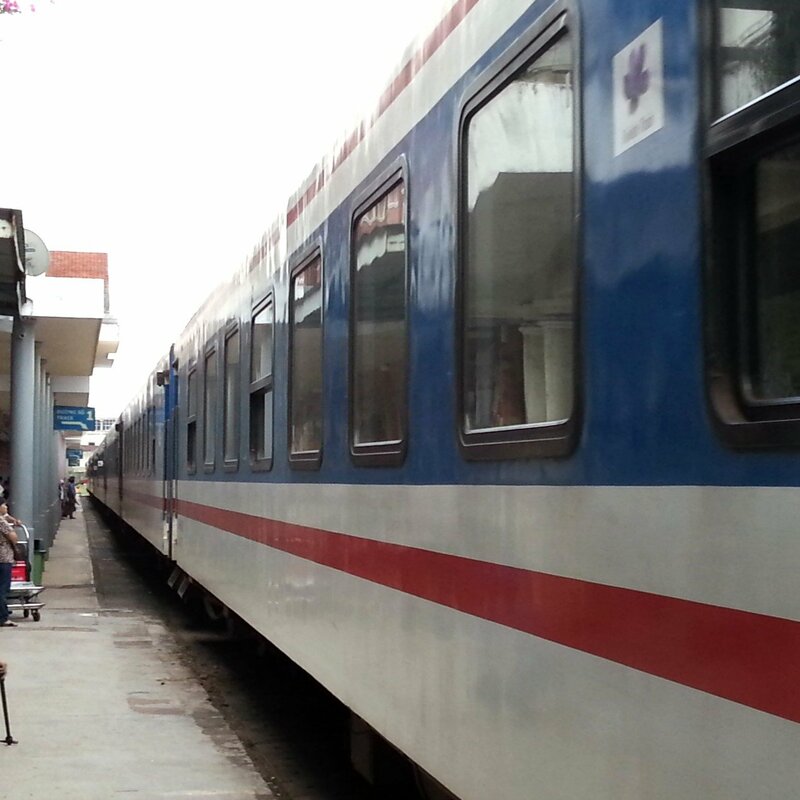 Use the Search Form to find your train tickets from Ninh Binh to Hue. Hue is one of the top tourist destinations in Vietnam. Hue was the capital city of Vietnam from 1804 to 1945, at which time the country was ruled by the Nguyen Emperors. 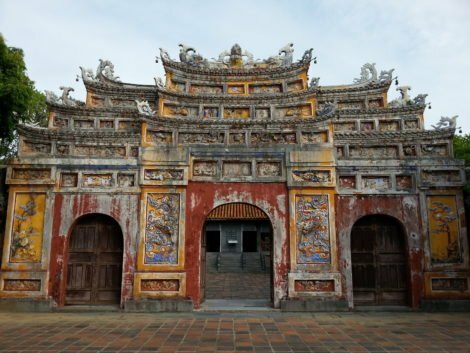 The Nguyen rulers built a large Imperial Citadel in Hue which is reminiscent of the architectural style and layout of the Forbidden City in Beijing. The Imperial Citadel occupies a large part of the centre of Hue and has been awarded UNESCO World Heritage site status. The Imperial Citadel is surrounded on three sides by a moat and the Perfume River on the fourth side. The most famous features of the Imperial Citadel are its entrance gates. The Imperial Citadel is open daily from 08:30 to 17:30 and the entrance fee is 150,000 VND for adults and 75,000 VND for children. The other major attraction in Hue is the Tomb of the Emperors located 5 km South of the Railway Station. The Emperors of the Nguyen Dynasty built themselves and their families large and elaborate tombs, some of which have been well maintained and other left to become dilapidated. The best of the tombs are Tomb of Minh Mang, the Tomb of Tu Duc, and the Tomb of Khai Din. An interesting historical fact about these tombs is that they became increasingly large and ornate during the final years of the Nguyen Dynasty when the power of the royal family had been taken away by the French colonial rulers who kept the Emperors as ‘puppet’ rulers. The tombs mark the death of not only individual Emperors but also the end of the rule of the Vietnamese royal family.